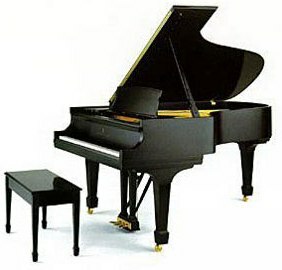 A piano designed for spacious homes smaller recital halls auditoriums and broadcasting recording or professional studios. Legs Ebonized birch, Mahogany, Walnut veneer over birch. Locking devices.